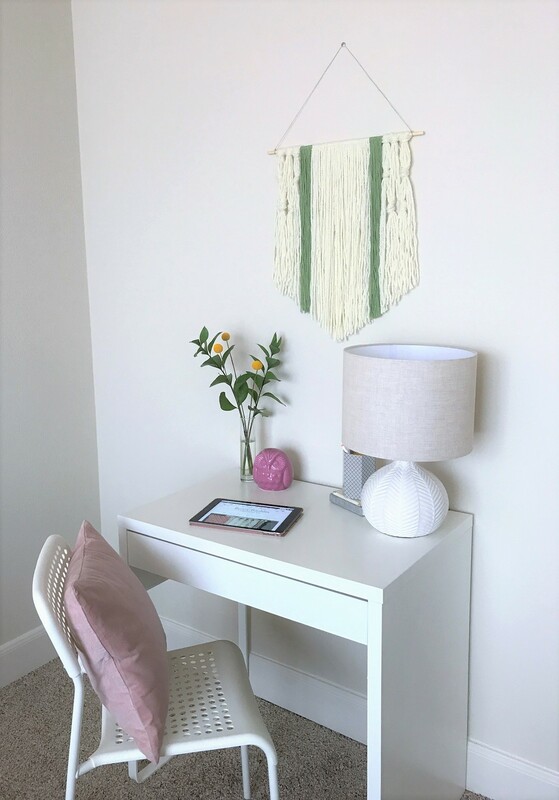 Now, you’ve seen yarn wall hangings for sale in cute boutiques (and let’s be honest, probably even at Target), but you can make them for less than $10! All it takes is some yarn, scissors, a wooden dowel, and a seat on the sofa. You can use any colors you want, and make it as long, short, wide, and thick, as you want! 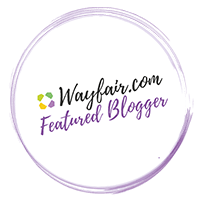 I love that they add some texture to your space instead of just having a bunch of flat, framed artwork. 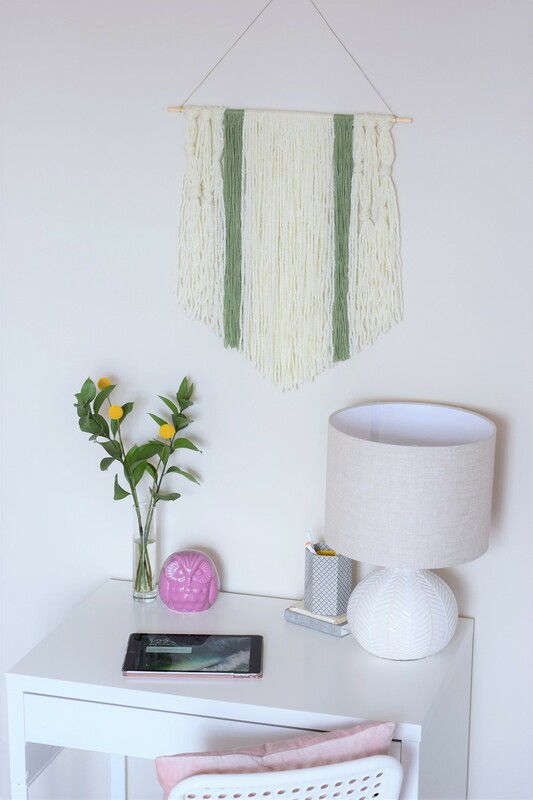 In order to make my wall hanging unique, I actually mixed in some macrame styles to add texture. By just tying some of the yarn in to knots in strategic locations, you get a pretty patterned effect that breaks up the plain strings to make it look more special. Looking for a semi-mindless, cheap, and really cute DIY project this Fall? 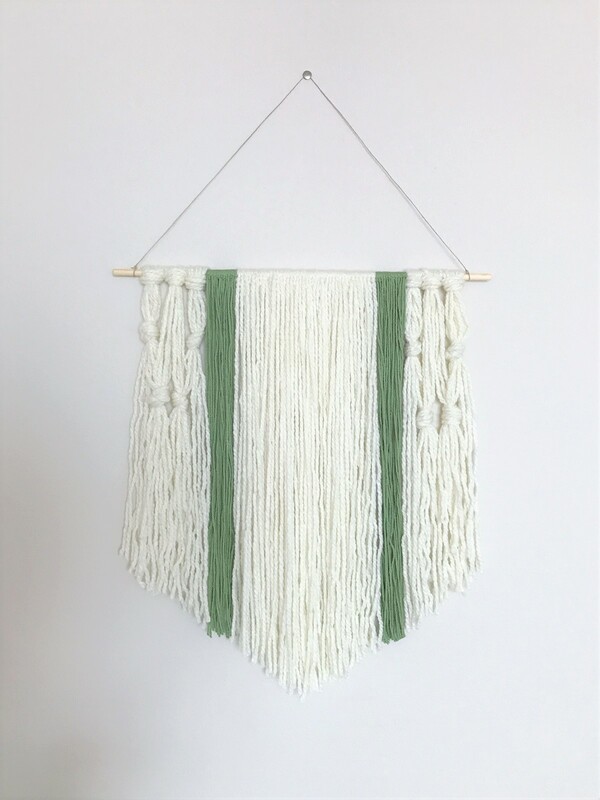 Look no further, this boho yarn wall hanging is your new bestie. 1. Start by cutting pieces of white yarn into pieces that are approximately 3′ long. You will need many pieces, so you can cut and string them as you go, or cut many pieces all at once. 2. To string the yarn on to the dowel, all you have to do is fold the yarn in half, place the folded end over the top of the dowel and loop it to the back. Then, string the two loose ends through the loop and pull the yarn tight. Repeat on all of the rest of the strings. I strung many pieces of white yarn on to the dowel until it covered the middle section, about 1/2 of the entire length of the dowel. 3. Next, do the same with your green yarn, but only fill 2″ of the dowel with green yarn on either side of the white yarn. 4. 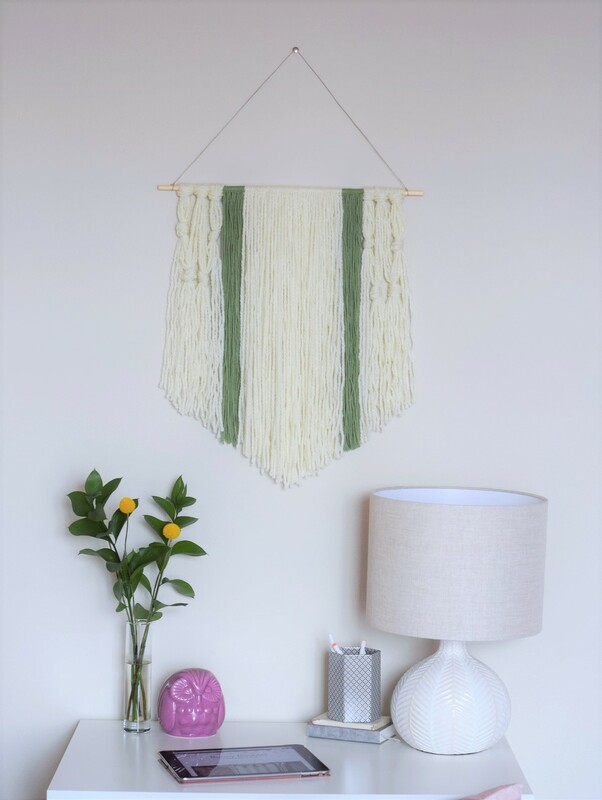 To create the macrame style white section on the ends, cut more pieces of white yarn to 3′ long. Group 6 pieces of yarn together and loop them all as one section. Repeat this a total of six times, three times on each side. 5. Next, tie all 12 pieces of yarn (the 6 piece bunch now has 12 strings hanging down) from the first bunch into a knot about 3-4″ down from the top of the dowel. Then, take 6 strings from the side of that bunch and 6 strings from the side of the bunch next to it, and again tie a knot with all of them about another 3″ down. Repeat these steps using the third bunch of strings (one on the outside of the wall hanging). 6. Repeat step 5 on the other side of the wall hanging. 7. Hang up your wall hanging by tying a piece of string to either side of the dowel and hanging on a hook.